20% off the food bill for all NHS / Armed Forces / Police/ Fire and Ambulance Service. Valid Sunday-Thursday (excluding Bank Holidays), available all day in all Burger Theory restaurants. Discount only applies to your food bill, not valid on the set menu or to be used in conjunction with another offer, a maximum of 4 guests per table, subject to availability. To claim your discount, simply show your valid work ID card to your waiter when you arrive. This and all offers are subject to the manager’s discretion. 30% off Burger Theory RESTAURANTS when you order in a restaurant. Discount is only valid for verified students and is non-transferable. Discount is valid all day Sunday – Thursday (excluding bank holidays) 12:00 – 17:00 in Burger Theory restaurants nationwide in the UK. with another offer, a maximum of 4 guests per table, subject to availability. To claim your discount, simply present your valid student ID to your waiter when getting the bill. A valid student ID must be shown for each person &amp; this offer cannot be combined with any other offer. Valid Monday – Friday from 12:00 until 15:00 inclusive (excluding Bank Holidays and the festive period). You can’t use the lunch menu with any other promotions, offers or set menus. Prices vary per restaurant check your nearest Burger Theory for details. Prices and menu items are subject to availability. A discretionary service charge may apply. A free portion of skin on fries with every veggie or vegan burger. Valid Monday 12:00 until 22:00 inclusive (excluding Bank holidays and the festive period). 2 for 1 Burger with a valid dating app match. Valid Tuesday 12:00 until 22:00 inclusive (excluding the festive period). You can’t use the Tinder Tuesday promotion with any other promotions, offers or set menus. To claim your discount, simply present your valid dating app match to your server when getting the bill. If you order is for our Bristol Bottomless Burger Club, you have already booked your table so please just turn up on the day. Tickets can be fully refunded up until 7 days before the event. 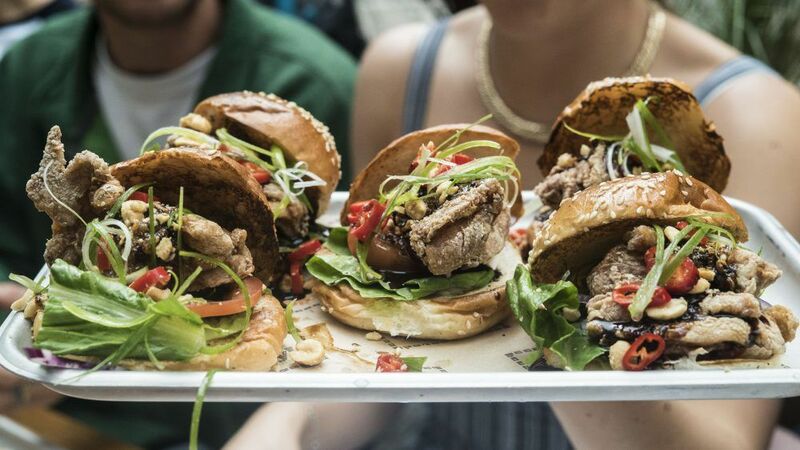 A £19 refund will be given if cancellation for a Bottomless Burger Club occurs within 7 days of the event or a transfer of your ticket to another date may also be available. No refunds are available after the day of the event under any circumstances. If your ticket is for one of our other events please do call the applicable restaurant to finalise your reservation; please have your name & order number ready, of which can be found on your ticket or order history. Gift vouchers (£15, £25, £40, £50, £75) are to be used in-store only & not to be used as an online coupon against any of our other products including our ‘Bottomless Burger Club’ events. Please check which store these have been bought for as these are non-transferable across our different sites. Burgers & Beers for Two vouchers are to be used in-store and allow the bearer to enjoy 2 burgers, two pints of beer or two cans of beer from our vast selection of craft beers and two portions of fries. This voucher is to be enjoyed at Burger Theory Bristol only. Bottomless Burger Club voucher is to be used against an online booking of one of our ‘Bottomless Burger Club’ events. You will be given a unique code that when used in the coupon field of checkout will discount the price of your booking by £35 (the price of one person). More than one of these vouchers can be used on your booking. Booking MUST be made online as this voucher cannot be taken on the day as proof of booking. Please check which site this voucher is applicable for as these are non-transferable between our different sites.